Covers the physiology of the women’s gynaecological system and is the foundation for successive Gynaecology courses. It includes many important principles that must be grasped in order to diagnose and treat gynaecological problems successfully. The view of the Uterus in Chinese medicine, how this fits in with Western medicine and the influence of various organs on the Uterus. 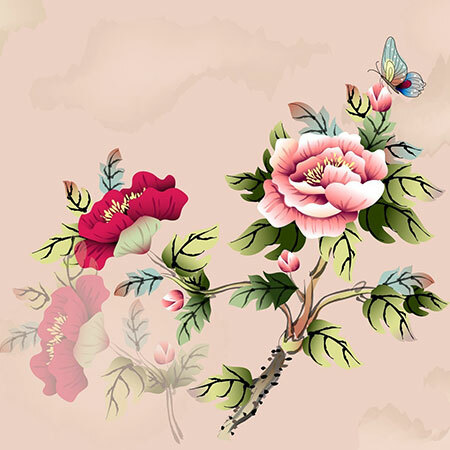 The nature, origin and function of the Tian Gui, the correspondences between Tian Gui and the ovaries and correlations between the Chinese and Western medicine’s view of ovulation. The Chinese view of the four phases of the menstrual cycle in a clinically-relevant way and the relationship with the Western hormonal follicular and luteal phases. This section of the course will give the treatment principles for each phase together with the herbal and acupuncture treatments. The influence of each internal organ on the Uterus and menstruation, exploring in detail the influence of the Kidneys, Liver, Spleen and Stomach on menstruation. And finally, the pathways and functions of the 8 Extraordinary Vessels in relation to women’s physiology and menstruation. This course includes clear diagrams and several quotations from the Classics. Although the course primarily deals with the physiology of women’s gynaecological system, it also includes many clinical tips on treatment and clinical notes to illustrate the application of the concepts explained to actual treatment. This course consists of a 238-slide presentation with with video narration, text, diagrams and over 150 photos, together with an audio live lecture on Gynaecology by Giovanni. The Audio Lecture section builds on the presentation material and adds informative spontaneity and improvisation.